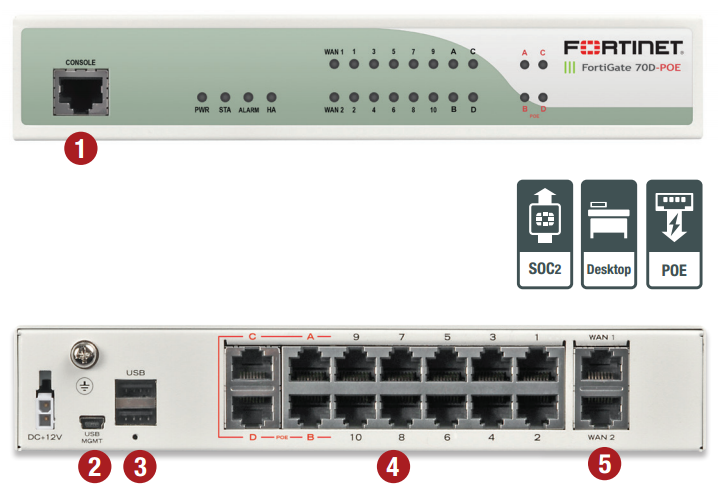 The FortiGate 70D series is a compact, all-in-one security appliance that delivers Fortinet’s Connected UTM. Ideal for remote, customer premise equipment (CPE) and retail networks, these appliances offer the network security, connectivity, and performance you need with attractive TCO. You get advanced threat protection, including firewall, application control, advanced threat protection, IPS, VPN, and web filtering, all from one device that’s easy to deploy and manage. With its comprehensive management console, remote provisioning and wide range of connectivity options, you have an easy-to-deploy, easy-to-manage solution that’s great for a centrally-managed infrastructure. Built on the foundation of the FortiASIC System on a Chip 2 (SoC2) and FortiOS 5, the FortiGate 70D series provides high performance firewall and VPN capabilities plus comprehensive complementary security technologies. You’ll also appreciate features like VDOMs for your distributed networks. VDOMs on the FortiGate 70D series let you segment networks to enable guest and employee access, or protect things like cardholder data to meet compliance standards like PCI and HIPAA. High Speed Firewall and VPN powered by FortiASIC™ SoC2. Runs on FortiOS 5 — the most powerful security operating system in the world delivers more security to fight advanced threats, more control to users and devices, and more intelligence to build secure policies. 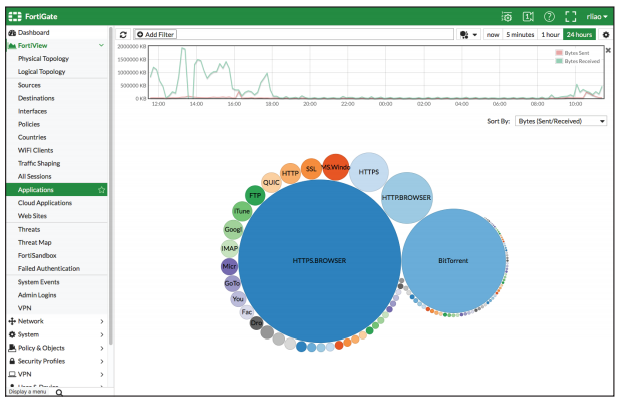 Simplify installations with FortiExplorer and Wizards. The FortiExplorer wizard enables you to easily and quickly set up and configure FortiGate platforms with easy-to-follow instructions. The application runs on Windows, Mac OS X desktops and laptops as well as popular mobile devices. Simply connect to the appropriate USB port on the appliance and be fully protected in minutes. The FortiGate 70D series includes USB ports that allow you to plug in a compatible third-party 3G/4G USB modem, providing additional WAN connectivity or a redundant link for maximum reliability. Download the Fortinet FortiGate 70D Series Datasheet (PDF).